There are centuries worth of evidence that Turmeric has been used as a healing agent across multiple civilisations. The simple little plant provides an abundance of health benefits to those that consume it regularly. The list of benefits includes; lower cholesterol, promoting better skin, improving inflammation, treating stomach ulcers and it has even been useful in treating Alzheimer’s and cancer. Furthermore it benefits the immune system, purifies blood, eliminates toxins in the body, promotes pancreas function, nourishes join tissues and promotes a healthy blood glucose level. Overall, it really is one of the best natural healing agents available. 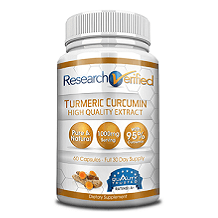 All of the health benefits have created a significant variety of turmeric supplements available on the market today. It can be strenuous to customers to identify which products are better than others. Reviews are a great way to see what products are rated as successful in what they claim. One product worth discussing is Banyan Botanicals Turmeric Tablets, which contains certified organic ingredients and a reasonable price tag. Below are further details on Banyan Botanicals Turmeric Tablets. This is a 100% vegetarian product that is gluten, soy and dairy free. The manufacturers recommend that 1-2 tablets be taken once or twice on a daily basis for optimal effects. It is highly recommended that customers seek the appropriate dosage recommendation from their health care practitioner. Aside from being pregnant, lactating or having liver, gallbladder or gastrointestinal issues, Banyan Botanicals Turmeric Tablets are generally safe for long term use. There is no information available about the side effects of using this product. However, if there is a significant change in a customers health or condition, they should consult a health care practitioner immediately for safety reasons. 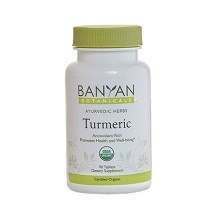 Banyan Botanicals Turmeric Tablets are 19.95 for 90 capsules. This is on the lower scale for most turmeric products available, however it does not fall in the cheapest category. There is no information available regarding the product satisfaction guarantee, which means that it is at the risk of the customer if they purchase this product. No monies will be refunded by the manufacturer if the customer is unsatisfied. As there are a growing number of supplements on the market, the overwhelming feeling that companies are lying to their customers is also on the rise. Banyan Botanicals does not offer a satisfaction guarantee for their product and thus, customers are likely going to feel uneasy buying from them. Furthermore there are no customer reviews for this product and no FDA approval available online, which is somewhat of a red flag.